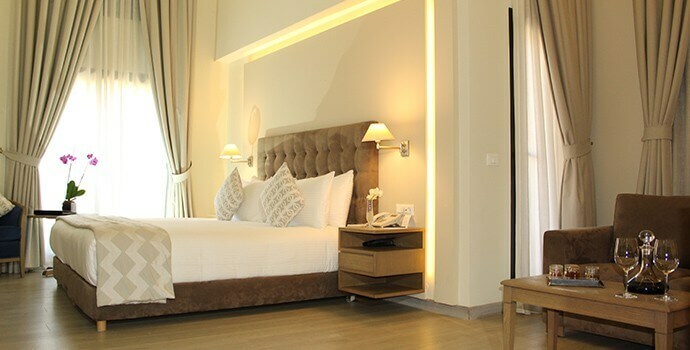 The InterContinental Mzaar Lebanon Mountain Resort and Spa is for good reasons the favorite hotel for Cyprus’ skiers and snowboarders alike at the Mzaar ski resort in Lebanon. We are happy to continuously offer packages from Cyprus to this great ski in-ski out hotel since the opening of the hotel in 2000. 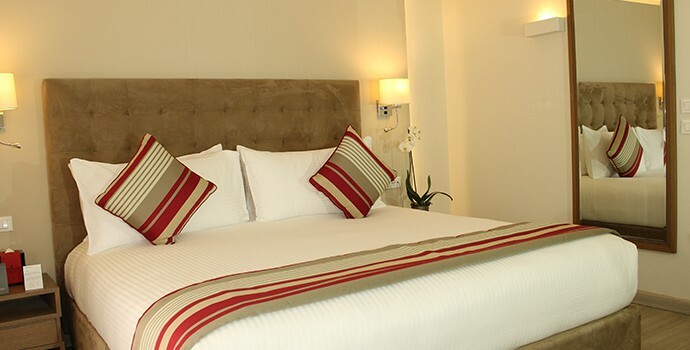 We make available the full range of accommodation options from Standard rooms to the Royal Suite and are happy to make the extra efforts required to arrange connecting rooms for your family. Packages can be either on Bed and Breakfast or Half Board basis. 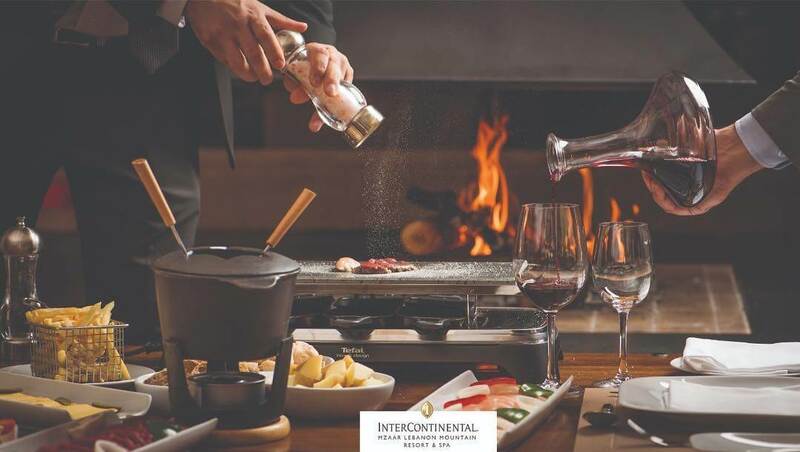 The Half Board option, that includes breakfast and either lunch or dinner makes stays at the InterContinental Mzaar a well priced solution for the value seeking skier. Varianos Travel’s customers can further benefit by taking their meals on any of the days of their stay, including departure day. 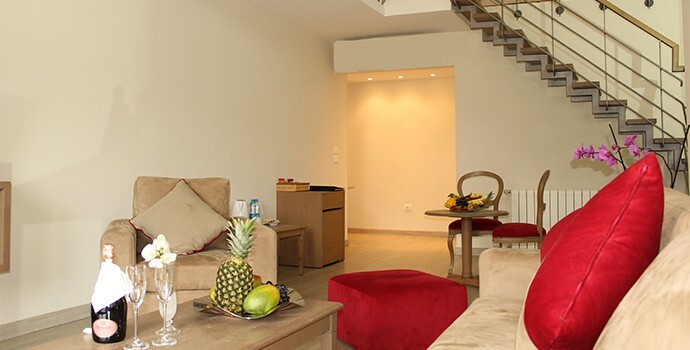 Varianos Travel is truly pleased to be able to offer ski and snowboard holiday packages from Cyprus that include stays in this outstanding and intimate small hotel. Call us at 22680500 or email us to book your ski holiday from Cyprus or to get more information. Our ski holiday packages include hotel accommodation, return flights between Larnaca, Cyprus and Beirut, Lebanon with Middle East Airlines, all taxes and round trip transfers between the InterContinental Mzaar in the Mzaar ski resort and Beirut airport. They of course include our exceptional services before, during and after your holiday. Prices can be lower for larger groups. Please call our call our Direct Ski Line at 22663477 or email us for the best possible offer for your vacation to Lebanon’s top ski resort. Kindly mention the number of persons in your group and the dates you wish to travel so we can quote to you the quickest possible. You can view more information on our Mzaar holiday packages on our Ski Lebanon page. Standard: Elegantly appointed 25 sq. m. room, located in the West wing with limited or no view. Only one extra bed can fit in this type of room. Standard Plus: Elegantly appointed 30 sq. m. room, located in the North wing. Some rooms have balconies with road or mountain view. Only double beds are available. Deluxe: Elegantly appointed 35 sq. 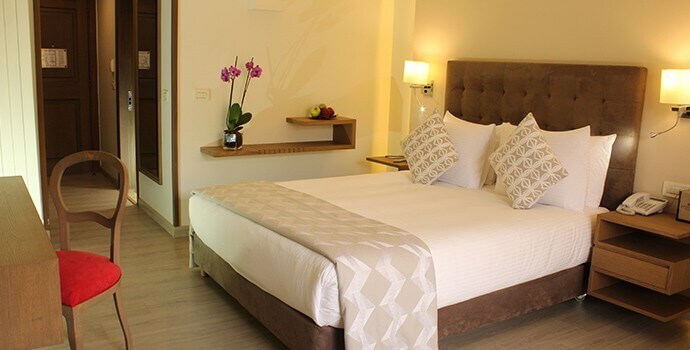 m. rooms located in the upper floors of the North & West wings with balcony and garden or mountain view. Loft: 30+ sq. m. rooms located on the top sixth floor with high and slanted chalet-style ceiling. Mostly double beds are available. Premium: Elegantly appointed 35 sq. m. rooms located on the second to fifth floors of the main building. Rooms facing the slopes have view supplement. Family: 40+ sq. m. rooms located on the first floor of the main building. Convenient location especially for families but sometimes a little noisy. 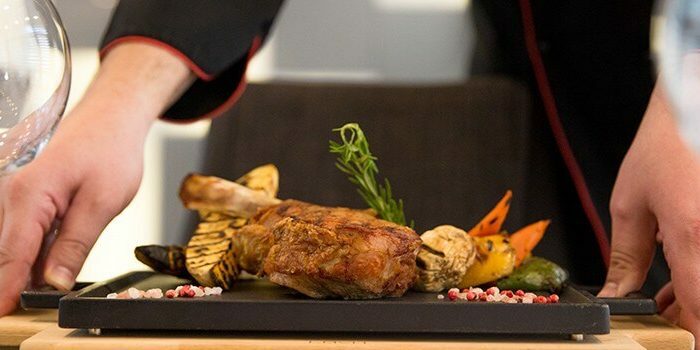 As one might expect the InterContinental Mzaar presents guests with excellent dining options. Attention to detail, fresh local and fine imported ingredients combine at the hotel’s kitchens with spectacular results at your plate! At the slope-side Le Refuge, with a rustic decor, hearty mountain style meals are served at any time of the day. Outdoor seating is available for those blue sky million dollar days that Mzaar is famous for! 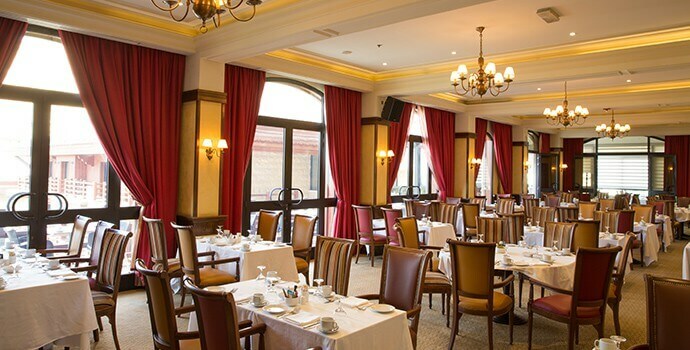 Les Airelles is IC Mzaar’s most elegant restaurant. Breakfast is served here between 06:30 to 11:00. Lunch and dinner are also served on selected days during the high season. 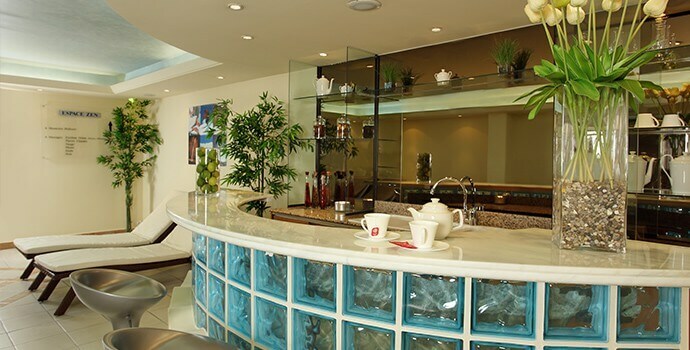 Le Bar, at the hotel’s main lobby is a place not only to enjoy drinks and snacks. It is a place to see and be seen as during the winter it is considered the in mountain place to visit. 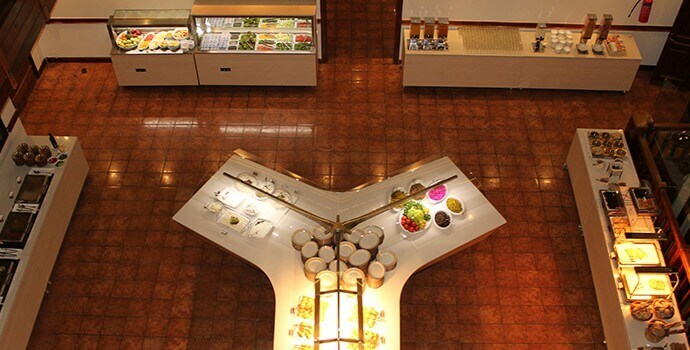 Kobe restaurant offers New York style Japanese cuisine. Fine steaks, fresh sushi and teppanyaki are available daily from 12:00 to 24:00. La Burgerie serves American fare with an emphasis (of course…) on burgers. 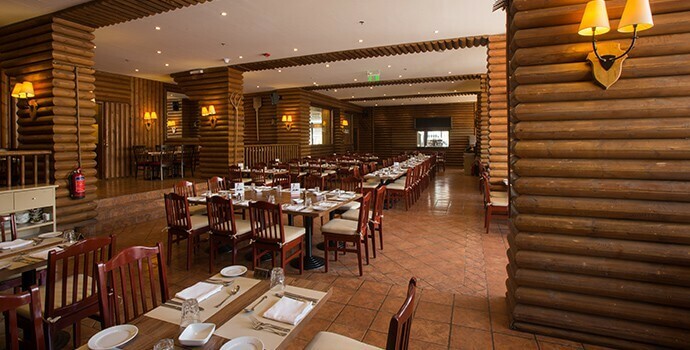 Enjoy Black Angus burgers in a casual and relaxed atmosphere. 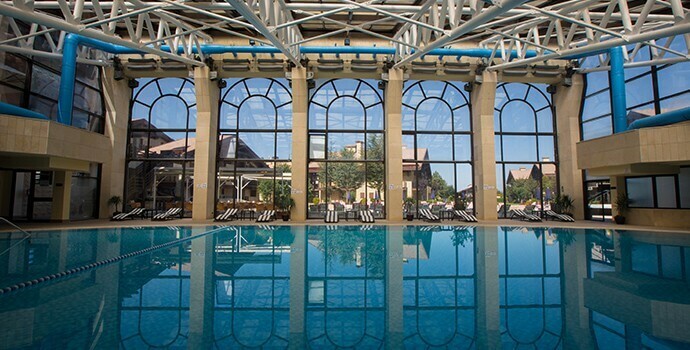 An excellent, heated indoor swimming pool with a view to the snowy garden is the highlight of the hotel’s relaxation options. A spa and gym are of course also available. Being a true ski in – ski out hotel all the services a skier or snowboarder expects are available at the InterContinental Mzaar. They include a ski and snowboard rental shop that also arranges lessons. The shop can also service your equipment overnight. Ski storage is available at the basement and right outside the hotel two ski lift connecting to the rest of the ski resort. Ski lift passes are sold at the office at the hotel. Call us at our Direct Ski Line (22663477) or email us to get your individualized cost of a ski holiday package with a stay at this great ski in-ski out hotel in Lebannon. We make skiing holidays easy for you by offering complete travel package solutions. 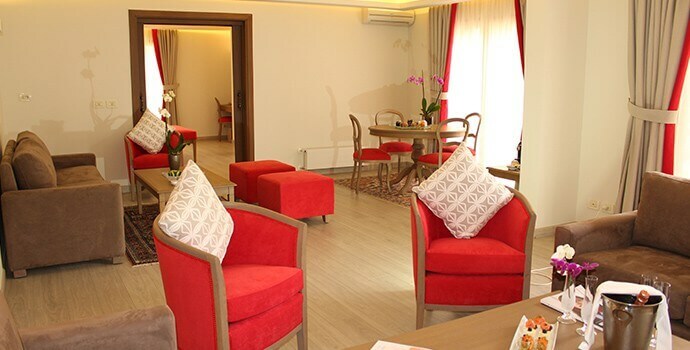 We can arrange flights, transfers between Beirut airport and the Mzaar resort, accommodation on various meal plans. Contact us!